Complaining about not getting enough wildlife to kill, as compared to non-resident hunters, has been prominent in the BCWF's calculated messaging. In contrast, provincial mortality statistics show that from 1978 through 2011, resident hunters killed 5,900 grizzlies while non-resident hunters killed 4,100. To those 10,000 bears it was no consolation whether the bullets ripping through their bodies, causing immeasurable pain and suffering, were fired from the guns of resident or non-resident hunters. The recent controversy surrounding the tug of war between the B.C. Wildlife Federation (BCWF) and the Guide Outfitters Association of B.C. (GOABC) over the allocation of wildlife is a lurid sideshow, distracting from the real issues around trophy hunting in the province. This debate has centred on a new policy to allocate wildlife for recreational killing, focusing on who gets to kill the wildlife in question, while ignoring whether there is justification for the killing in the first place or whether this policy benefits wildlife. A very complex issue is being reduced to a ridiculously simple and false dichotomy, i.e. resident hunters versus non-resident hunters. The policy applies only to "allocated wildlife," which are those animals whose population is at such a low enough level that they could not tolerate an open season style hunt; this represents only eight per cent of the wildlife hunted each year in B.C. A specific number of individual permits are given out to kill these animals. They include species normally considered game species such as moose and elk, and others considered trophy species such as grizzly bears and wild sheep. The permits have always been divided between hunters who reside in B.C. and guide outfitter businesses. Whether each of these user groups should even be allowed to hunt so-called trophy species such as grizzlies, wolves, black bears, and other large carnivores is a debate that is separate from this allocation policy, and one that we have engaged in vigorously. If you accept recreational hunting on any level, this policy resides in the framework of managing that activity as effectively as possible. The previous policy was instituted in 2007 and has failed because the competition between these two user groups has played out on the ground as a race to the bottom with damaging results for wildlife in B.C. Provincial officials have termed the resultant negative impact to wildlife an "unintended consequence" of the old policy. Two years of negotiations involving government managers, facilitators, and consultants failed to reach an agreement between the user groups. Recognizing that wildlife populations could be at risk if the previous policy was not replaced with a non-competitive scheme, Minister of Forests, Lands and Natural Resource Operations Steve Thomson made a decision, announcing the province would replace the moveable allocation policy with a fixed allocation process. This policy change was urgently needed. Minister Thomson was required to strike a balance between the demands of two powerful lobby groups that represent trophy hunters, while keeping in mind the effect of the policy on vulnerable wildlife populations. Cynically playing the xenophobia card, the BCWF has invoked the spectre of the "foreign hunter" to try to get an increase in their wildlife allocation. Using disingenuous arguments, the BCWF has manipulatively refocused the attention on the allocation percentages and away from the most salient issues, which are the policy itself and the impact on wildlife. Political opponents to Minister Thomson's announcement have adopted the BCWF's deceptive language that this policy gives more wildlife to foreign hunters than resident hunters. The reality is that resident hunters have always, and will continue, to receive the great majority of allocated wildlife in B.C. The BCWF have deliberately and dishonestly avoided mentioning grizzly bears in their communications and media campaign to secure an increased allocation of wildlife to kill for sport. The messaging around the BCWF's March 2 rally at the B.C. legislature continues this charade by camouflaging their real agenda, i.e. killing more bears and other wild animals, by spinning the protest theme as being about opposition to the "privatizing of our wildlife." Raincoast Conservation Foundation has advocated for an end to trophy hunting of large carnivores in B.C. for two decades and will continue to do so. We hope the province will eventually listen to the will of the overwhelming majority of the BC public who want an end to the recreational killing of grizzly bears, and stop acquiescing to the relentless lobbying of the BCWF and GOABC in support of this activity. In the interim, Raincoast has purchased two hunting tenures in the Great Bear Rainforest in order to gain control of the commercial trophy hunt in a 28,000 square kilometer area. These acquisitions support our research objectives and respect the direction of Coastal First Nations who oppose trophy hunting in their territories. 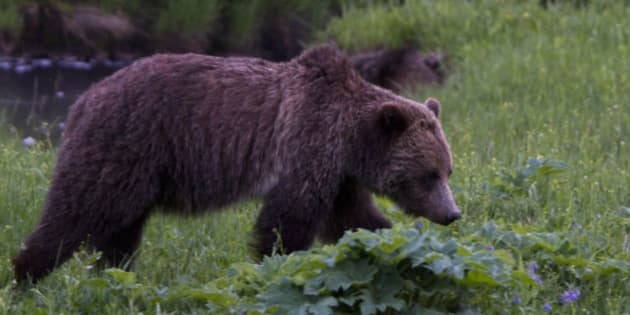 Under the scenario advocated by the BCWF, Raincoast's grizzly bear quota would be re-allocated to the resident hunt, eliminating our ability to continue managing these tenures in a manner which has benefited wildlife and eco-tourism in the region. Minister Thomson has made a difficult decision. The fact that both trophy hunting user groups are not entirely happy about it does not mean he "didn't get it quite right." The animosity between the BCWF and GOABC is part of a long running battle, and as the current acrimonious debate illustrates, truth and relevance have been the casualties of their most recent bickering. This article was co-authored with Raincoast Conservation Foundation guide outfitter co-ordinator Brian Falconer.